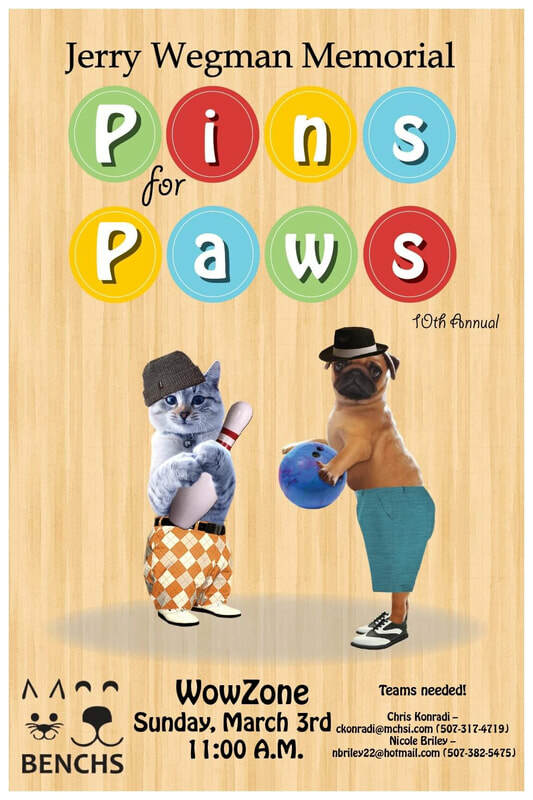 Join us Sunday, March 3rd for the Jerry Wegman Memorial Pins for Paws bowling tournament. Create a team of 4 or 5 friends and sign up! We have fun, trophies and lots of laughs. ​Not too many really skilled bowlers but lots of enthusiastic bowlers! homeless cats and dogs at BENCHS. 4-5 bowlers to raise $300.